St. Valentine And The Year Of The Tiger. Sunday the Eurocentric world of English-language speakers will celebrate St. Valentine's Day. The day for lovers has as many "origins" as there are stars in the universe. We are familiar with many of how the said saint has his own special day. There is even a Garry Marshall movie this year called "Valentine's Day." Marshall was the creator of the television classic series, "Happy Days." It stars two actors I never heard of, Jessica Alba and Jessica Biel. It also has actress Kathy Bates of "Misery" fame somewhere in the mix. The history of St. Valentine's Day is shrouded in myth and mystery. Both the saint and origin contains vestiges of both Christian and ancient Roman tradition. 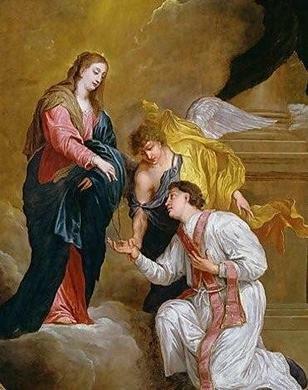 Who was Saint Valentine and how did he become associated with this ancient rite? Today, the Roman Catholic Church recognizes at least three different saints named Valentine. As fate would have it, all three of them were martyred. One of the many legends has Valentine a priest in Rome. The Emperor Claudius II was of the opinion that single men made better soldiers than those with wives. So he outlawed marriage for young men. Priest Valentine, seeing the injustice of the decree, defied Claudius and continued to perform marriages for young lovers in secret. When Valentine's loving-law breaking was discovered, Claudius ordered that he be put to death. Next Sunday is also the first day of the Chinese Year of the Tiger. Chinatowns of Asia and rest of the world will celebrate the most important holiday of the year for them. 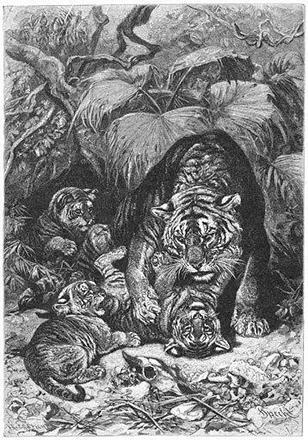 As the Year of the Ox waddles off the scene, one of the favorite animal-named years charges in --- The Tiger. The Lunar calendar has 12 animals designated on a 12-year cycle. This courageous and fiery fighter is admired by the ancient Chinese as the sign that keeps away the three main tragedies of a household: fire, thieves and ghosts. The Tiger is said to be lucky, vivid, lively and engaging. Another attribute of the Tiger is his incredible bravery, evidenced in his willingness to engage in battle or his undying courage. Tigers do not put much confidence in power or money. They will be completely honest about how they feel and expect the same of you. On the other hand, they seek approval from peers and family. Generally, because of their charming personalities. Tigers are well liked. Still, like all felines, Tigers always land on their feet, ready for their next act in life, pursuing it with unyielding energy. Were you born during a Year of the Tiger? You were if you were born in one of these years: 1902, 1914, 1926, 1938, 1950, 1962, 1974, 1986, and 1998. Be a good Tiger this St. Valentine's Day. Next year, 2011, is the Year of the Rabbit.